At Intact Software, we want you to realise the full range of benefits and features housed in your intact iQ software system. Your initial training prior to going live gave you the head start you need to master your day-to-day processes. It’s time now to look at how your Intact iQ system can be fully utilised to enable your business to operate at its best. 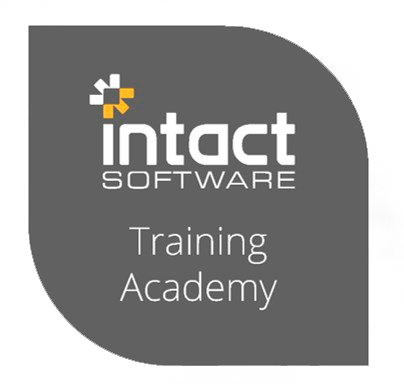 The Intact Software Training Academy offers a range of courses to help you in this endeavour. Our courses are suitable for all Intact iQ users from those yet to go live to those using the system for some time. They offer a great opportunity to explore new and existing functionality, find better ways of doing things or give new employees the skills they need to thrive in your organisation. This course is aimed at the System Administrator/Credit Control Manager within an organisation. Typically, it applies to the user(s) who set the credit terms for customers and/or chase overdue account and need to see clearly and quickly who owes what. Once configured, Intact iQ's Credit Control allows for full implementation of your company's credit control policy at the touch of a button. This course is aimed at those users who will be using the Intact iQ software package in the 'back office', as is the traditional term. The course covers main aspects of accounts payable and receivable processing. The course also covers content for staff who deal with bank and cash management and those who manage the accounting function. This course is aimed at management level Intact iQ users who want to interpret and analyse the vast amount of data stored within their Intact iQ. Unlike standard Intact iQ reports, an analytics model is real time reporting and can be interrogated. It also allows the user to have different views of the same data. 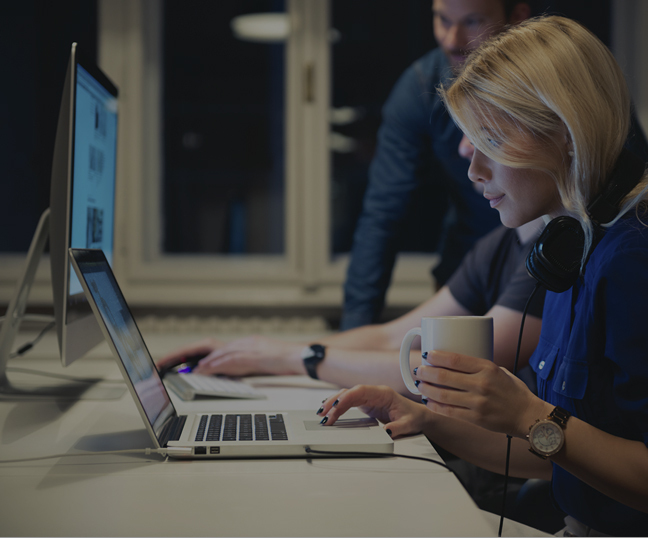 This course will equip users with the knowledge to create detailed analytics data drills. This course is designed to assist employees charged with managing the Intact iQ system in their business. This course is designed to show them how to navigate and control the various roles and security policies and all the functionality therein and maximise your Intact iQ investment. This course is aimed at staff whose role it is to plan and oversee the stock taking process. This course details all of Intact iQ's facilities relating to the stock taking enabling attendees to plan the regular counting of "best sellers" and/or high value stock, identify key statistics such as top 10 products, variances, comparitive figures etc. To ensure your experience at intact Software is memorable, our purpose built training rooms are perfectly adapted for all your training and learning needs. The range of facilities available include advanced audio-visual facilities, projector screens, flipcharts. access to internet-enabled laptops as well as video conferencing. At Intact Software, we pride ourselves on having the most knowledgeable and experienced instructors and tutors delivering our courses. The training they provide is focused and highly informative derived from years of experience between them in all areas of the Intact iQ System. The Irish Training Academy a conveniently located in Dundalk, less than 5 minutes off the M1 motorway. The UK Training Academy is located in Hemel Hempstead. Attendees of the Intact Training Academy will receive printed and digital certificates upon completion of every course they attend. An investment in continuous training will provide you and your employees with the skills required to utilise your Intact iQ system as effectively as possible enabling you to constantly refine and improve your business processes. 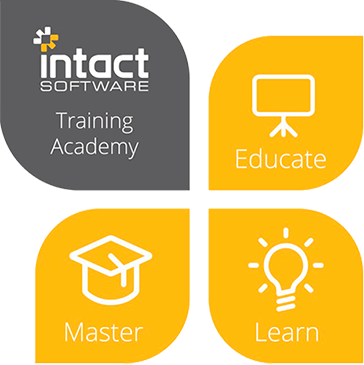 Intact Software will reward those companies who invest in a training programme by providing volume discounts to those companies who purchase 3 or more courses within a year. 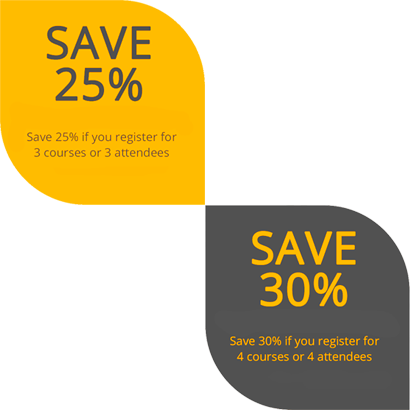 Terms & Conditions: Volume discounts only apply for courses taken within a calendar year. To avail of volume discounts courses must be paid for in advance. Customers must be current Intact iQ users.